Coloradan Chris Korte, who won both a CGA Amateur and a CGA Match Play during his amateur career, has found his first notable tour home. 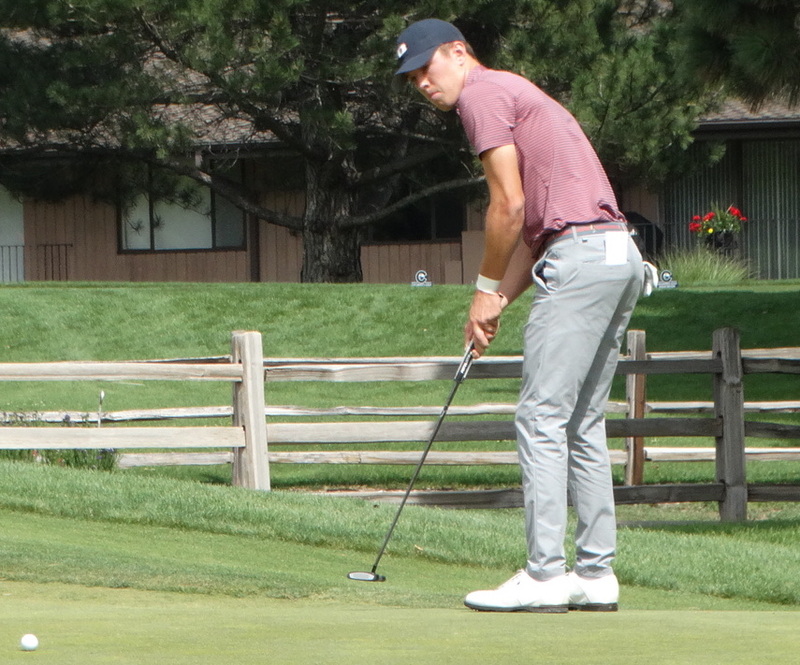 The former University of Denver golfer earned fully-exempt status for the first half of the 2019 season on PGA Tour Latinoamerica on Friday by finishing eighth out of 81 players in one of the final PTLA Q-school tournaments. Korte (left) shot rounds of 69-67-70-76 for a 2-under-par 282 total in Rio de Janeiro, Brazil. The winner — American Patrick Flavin (273) — will be fully exempt for the entire season, while those who finished second through 11th will have spots at least for the first half of the year. The season begins March 27 in Panama. Despite the 76 in the final round, Korte carded an eagle on the par-4 16th hole. For the tournament, he posted two eagles, 17 birdies, 13 bogeys and three double bogeys. Last week, three other players with strong Colorado ties earned some status on PGA Tour Latinoamerica. Former Fort Collins resident Tom Whitney will be exempt for the first half of the season, while former Colorado State University golfer Blake Cannon and Castle Pines resident Josh Seiple will have conditional status. Fan Places Third on The Cactus Tour: Former University of Colorado golfer Brittany Fan finished third on Wednesday at The Cactus Tour event in Sun City, Ariz. Fan, who won a Cactus Tour tournament last summer as a rookie pro, recorded rounds of 69-70-71 for a 6-under-par 210 total. She ended up three strokes behind winner Linnea Johansson of Sweden. Aspen’s Morris Prevails: AJ Morris of Aspen won a one-day event on the West Florida Golf Tour at Tampa Palms Country Club on Wednesday. Morris shot a 4-under-par 72 and beat Tim Rosenhouse of Dix Hills, N.Y., and Scot Paul Ferrier in a playoff to earn $1,000.